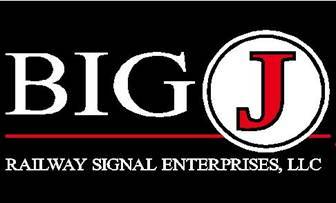 Welcome to the Big J Railway Signal Enterprises web page. If you are looking to satisfy railway signal training requirements, you have come to the right site. 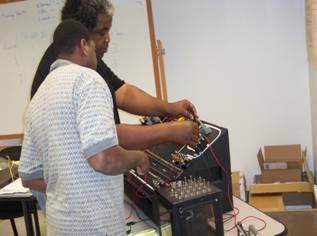 We specialize in building miniature to life-size signal apparatus training mock-ups customized to your needs and specifications, as well as providing on-site personnel training. We also provide signal consulting, inspection, and maintenance services to local railroads. 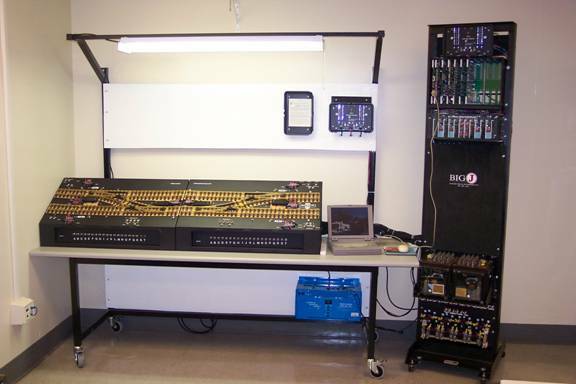 With the recently mandated Positive Train Control (PTC) requirements that railroads must have in place with the 2015 deadline and training requirements of the FRA 236.900 rules for signal forces responsible for maintenance, repair, programming, and upgrading of wayside and crossing equipment, the pressure is on to get people trained. On the one hand, it makes sense that the people responsible for upkeep of vital equipment used to protect against train collision, or worse yet train vs. auto collision, be trained to effectively and correctly perform this important service. On smaller railroads a disaster resulting in rail service down time, lost loads and the adverse results when the human element is involved can be the difference between maintaining operations or bankruptcy. On the other hand, the old approach of "on-the-job training" does not satisfy these rules--at least not as it has typically been done in the past. The new rule stipulates that training will provide a structured classroom and hands-on training. The reading of manuals and the discussing of adjustments or procedures in the morning safety briefings are not recognized by the new rules as adequate training. This raises the question of how a company can get the proper training to its people on-site and without a large drain on its budget. 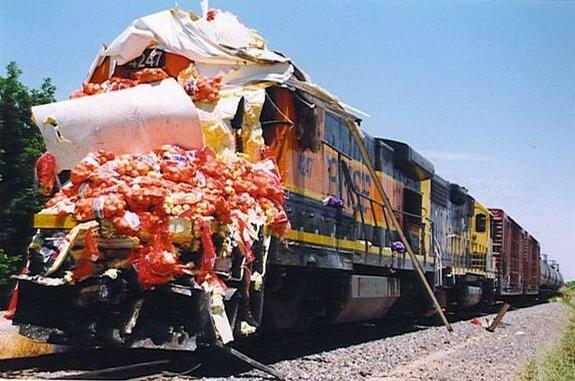 Pictured: A BNSF mixed freight with remains of truck hauling onions on the locomotive's front cowling rolls to stop after impact at grade crossing. If this had been caused by a crossing system failure the railroad would have been liable. As it was, the crossing equipment operated correctly and this was due to truck driver error, and no one was seriously hurt. 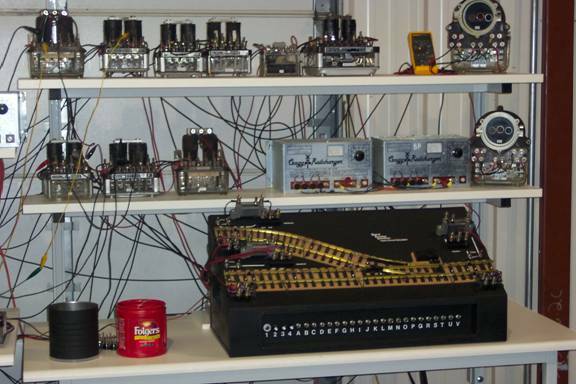 If this had happened on your railroad, would you be able to prove that the system was properly set up and maintained? Could you prove this to an FRA/DOT inspector? The age old signal training solutions have been to 1) throw them to the wolves, 2) build a company owned training center, or 3) enroll them in classes offered by a signal training service. The first approach to this solution as it has typically been done in many cases is not recognized by the new training rules. The latter two approaches require a large investment in space, manpower and equipment. The latter two approaches are effective but come at a cost. The fact is training done correctly that satisfies the training requirement rules is going to cost. This is a reality that railroads exist with and can't avoid. Big J simulators and signal training support offer affordable options to address these training requirements regardless of how you choose to handle training. The fact is Big J simulators are popular in all approaches to signal training done correctly. Big J simulators are found in many established training centers around the globe and are also many times also a tool used in the field to provide in-house refresher training or re-certification of an accomplished signal employee. In the case of the new signal employee preparing to go to a training center, that "in house boost" can establish a confident frame of mind before they walk in the door of the training center with introductory concepts achieved through supervisory light training administered in-house with department/ railroad owned basic trainers. Big J can supply your training needs with affordable in-house simulators and materials that fulfill your training requirements. We can also provide personnel training on site. Whether your need is full array of simulation and training support for a dedicated center or a just handy trainer that allows the team leader responsible for this instruction to present procedures and techniques in an error-forgiving environment free from most distractions and without train moves to worry about, Big J can provide what you need and even help make the safety meeting a setting that once again satisfies the new training requirements. With a basic simulator, a team leader can turn the morning safety meeting back into an adequate training setting with just a little more time for instruction. In-house certification and progress documentation can satisfy the FRA training requirement rule and give your team the know how and confidence necessary for them to return to their jobs and be more effective in their role. This setting can also provide an in-house, on-the-spot yard stick for gauging a young signal apprentice's strengths and weaknesses that a good training approach can address. I like to know that a signalman charged with the upkeep of a grade crossing that my family might have to travel through is actually up to the task. On hand Big J simulators also allow for refresher training to happen on your schedule. The more capable a railroad's system support is, the smoother it runs. If system troubles and scheduled maintenance are being handled correctly by field forces, signal managers and directors enjoy a better night's sleep. From small helpful simulators that can fit easily into a safety meeting setting to a full compliment of simulators and training materials for a complete training center, Big J is your source. Big J offers a full line of basic simulators that can serve any training effort. Even these can be modified in most cases at no cost to reflect acronyms familiar to your railroad. 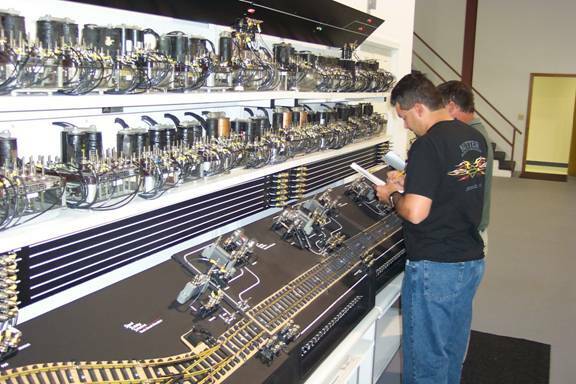 From the basic single concept simulator to complete interlocking or crossing simulators using the actual type of equipment in use on your railroad and based on your railroads prints, Big J can handle your needs. Many of Big J assistance and simulator users have acquired a combination of both basic and advanced simulators once the value has been recognized. 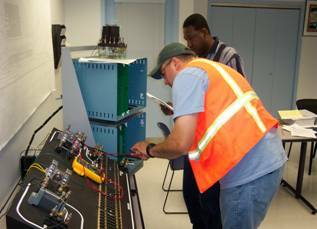 If a signal apprentice is not struggling with proper meter usage or understanding basic electrical concepts and has mastered the concept of the track circuit, then the information overload that can cause struggle for the completely unprepared student is overcome before the student's arrival at the training center. With this, your apprentice can use his time in class to go deeper into the lesson at hand. If you are in need of an entire training compliment allowing your railroad to handle all training in-house, Big J can help. Big J can also provide on-site training of your program in times of training blitzes that can arise when training resources and instruction can be stretched beyond capacity. Many times we have heard claims that training will be developed and delivered in-house by in-service signal team leaders only to hear desperate cries for help when deadlines approach. Signal training itself is a full-time job when done correctly. Larger railroads and smarter branch line and regional railroads recognize this and are blessed with manpower, resources and budgets to address this need. More commonly it is a task that rests on the shoulders of the supervising signal team leader and is a concept that is misunderstood by an upper management that still expects results from its supervisory staff tasked to handle this. In either setting, Big J can do the assembly and background work so you are set to spend the time you want to dedicate to this "providing results" rather than "preparing to provide results." Take a moment to review our more detailed description of our offerings and we know you'll see a solution to your training needs that Big J can help you with. A complete compliment of training simulation and support or one piece at a time, or over time as your budget can allow, Big J will work with you. After you review Big J's offerings, take another moment to reflect realistically on how you are going to address your signal training needs and its impact on your budget, absent signal persons, and the need to have a dedicated focus to your applications and then contact us and let's discuss some options. Signal Training Support is just a moment away with Big J. This Website © 2006-2011 by Big J Railway Signal Enterprises, LLC. All Rights Reserved.